It’s Samm and Voodoo tonight at Ce Soir! – Ce Soir Arts – Be inspired tonight! It’s Samm and Voodoo tonight at Ce Soir! 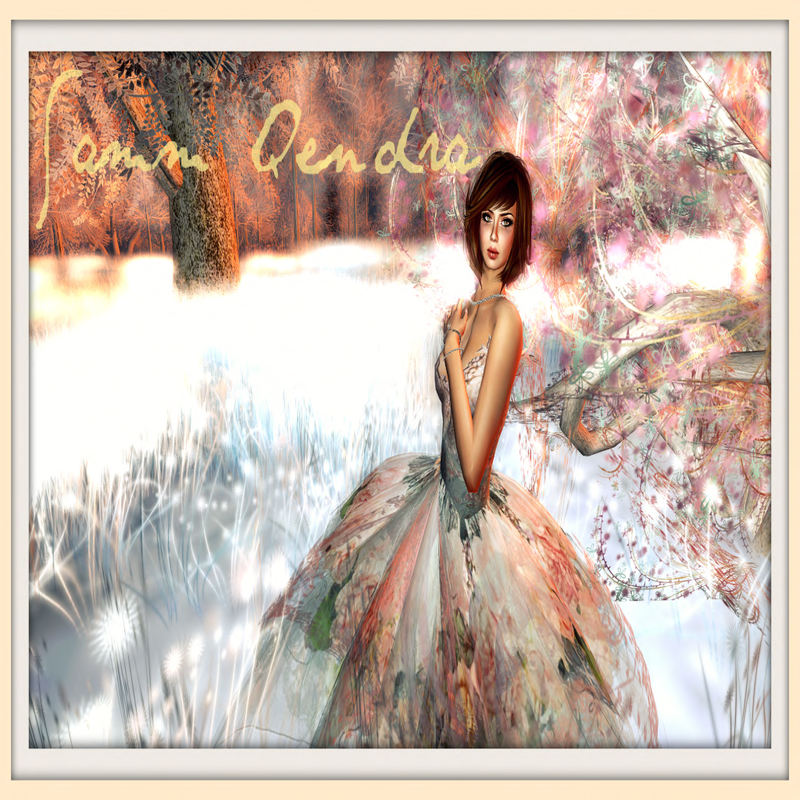 The wonderful Samm Qendra will grace us with song this evening at 4 PM SLT. Her sweet and powerful vocals will fill Ce Soir Castle with beauty. When she sings, often you can hear a pin drop in the audience as they anticipate every note, every nuance in the song. Samm commands this kind of attention in a very sweet and lovely way as she kindly greets everyone as they arrive. Her set choices are always spot on and very fitting to the occasion; her range is grand and her grasp of each song secure. The emotions that one can experience whilst listening to Samm sing run the gamut from sorrow to joy, and each song is a journey and a testament to her glorious vocal talents. Do come to enjoy with us. Formal, semiformal, and dressy casual attire are welcome; just remember to bring your smile! 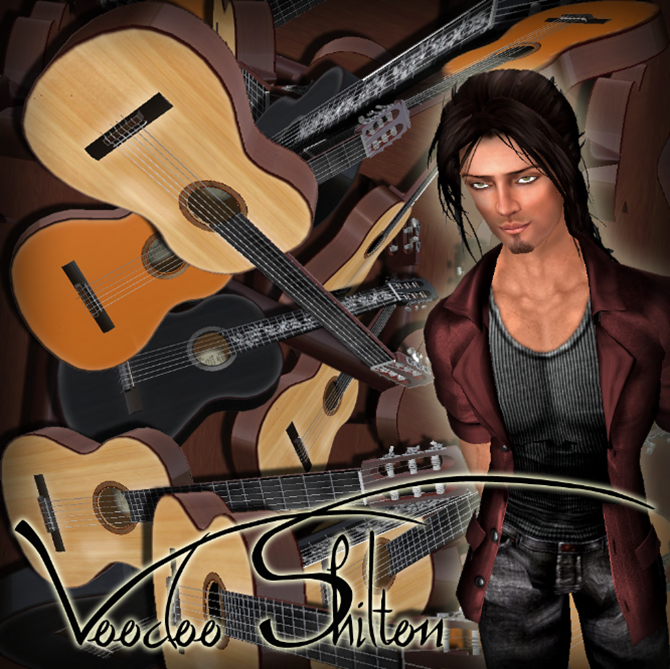 There is another great show lined up for 5 PM SLT with VOODOO SHILTON, one of SL’s premier guitarists. He is a virtuoso whose performances are filled with lively energy and spirit; we always have a fantastic time, dancing and laughing along. A little gypsy jazz and a flamenco tune or two will lift you right up from wherever you are to a higher plane of existence – we guarantee it! There is no way anyone could resist the movement in this music; we went out and got new dances for you because of Voodoo! His music is inspirational and fun – and his banter is informative and sweet. He can make that nylon string guitar do amazing things and he is penning some outstanding originals these days, so come on over and get an earful of music from around the world – VOODOO STYLE! Thank you, Vanessa! We do have a great time, and Samm and Voodoo are great next to one another in the schedule. Come see us, if you can!